March 10th, Speakeasy Brewing stunned the Bay Area brewing world by abruptly announcing they were ceasing operations due insolvency. A week later, Speakeasy announced some good news for those rooting for brewery’s rebirth when the brewery declared they were resuming operations under receivership. Earlier today, Speakeasy proudly tweeted out they were brewing up a batch of Big Daddy IPA. I’m not a bankruptcy lawyer, but what I understand receivership to mean is that Speakeasy is allowed to continue to operate under the ownership of their creditor. That most likely is Union Bank, which funded an ambitious and apparently failed expansion to the tune of 7.5 million dollars in 2015. So while Speakeasy is back to brewing beer, their future is no longer in the hands of CEO and co-founder Forest Gray. Instead, it’s largely up to whatever Union Bank thinks is the best way to recover due to them for their unpaid loan. So for the near term, Speakeasy will be running again as Union Bank allows the company to continue to brew again to help pay off their debts. But in the long term, I envision three likely scenarios, and two of them aren’t going to make most Speakeasy fans happy. 1) Union Bank decides to shut down Speakeasy, and sells off all assets of Speakeasy (the brewing equipment, the tap room) to recover what they’re owed on the loan. Speakeasy dies. 2) Union Bank decides to sell Speakeasy to a private investment group, mostly likely one that invests in breweries, wineries, and/or distilleries. This investment group takes over the brewery and gets it up and running again to get the best return on their investment. Yay! Speakeasy lives! 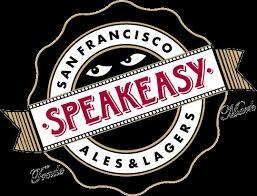 3) Union Bank decides to sell Speakeasy to a large industrial brewery like Anheuser-Busch, MillerCoors, and some other large brewing concern eager to to pick up a strong Bay Area brand at a fire sale price. Speakeasy lives, but it becomes part of big, corporate industrial beer. I suspect for a lot of Speakeasy fans, becoming part of big beer is a decidedly unappealing outcome. For those of you thinking “No way would Speakeasy ever sell out to Anheuser-Busch!”, I’m afraid it’s highly unlikely that Speakeasy has much say in the matter. Notice I started each possible scenario above with “Union Bank decides…”. Assuming they are the major creditor, they effectively operate Speakeasy now and their priority is finding the best way to get the money Speakeasy owes them. Whether someone like Anheuser-Busch would want to buy Speakeasy at this point is rather interesting to consider for brewing industry wonks like myself. For what it’s worth, Anheuser-Busch seems to have the West Coast covered pretty well with their acquisitions of Oregon’s 10 Barrel, Seattle’s Elysian, and Los Angeles’s Golden Road. Do they think a Bay Area brewery will significantly improve their West Coast market share? In addition, Anheuser-Busch’s parent company, ABInBev’s recent acquisition attention seems to be overseas with recent brewery acquisitions in Europe. My guess is that Anheuser-Busch takes a pass on Speakeasy, a strong brand in Northern California, but comparatively unknown elsewhere. At any rate, I hope Speakeasy finds a way to survive and I continue to root for them.